The best things in life are friends that feel like family, and family that feel like friends..
Gabriel is much more than a friendly face and a well mixed cocktail. Born in st. john's in August of '89 Gabriel is the oldest of two boys. Gabe is a Graduate of Memorial University's Business Administration program and has a diploma in logistics and supply chain management. Gabriel grew up working for his father bussing tables and continued working in the industry throughout university. In his spare time he dabbles in photography and plays the harmonica... not at the same time! Ryan was born in Bonavista in 1990. 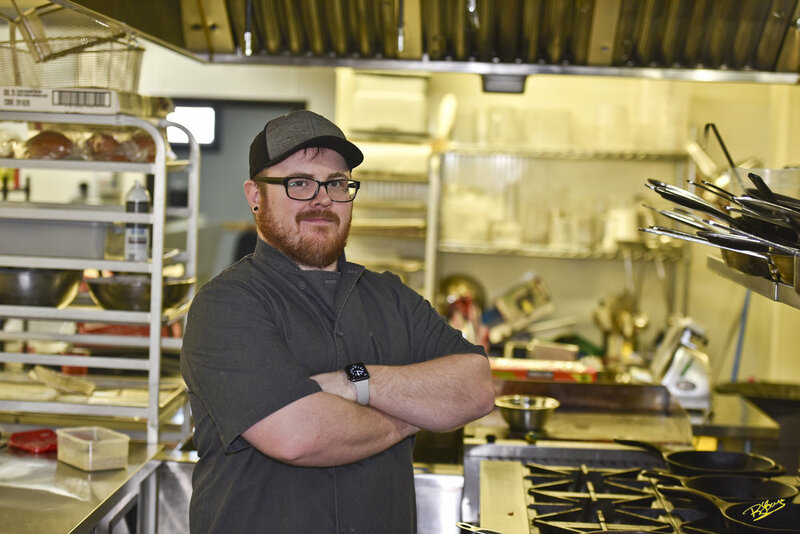 After graduating High School Ryan went to College of the North Atlantic on the Burin Peninsula where he took the Commercial Cooks course. Ryan and his wife Holly moved to St. John's and fell in love with the city. Ryan says "Growing up out home your limited to what you can do as a kid, I spent most of my days in the kitchen with my great Aunt Ruby and of course, my mother Eleanor. I had a passion for cooking and it kept me out of trouble. I dreamt as a kid of being lots of things like an Architect, a Pilot, and of course, a Chef. I’m one of the lucky ones as I’m living my dream. I’ve worked a few places since we came here, but since I started working with Evan, I have never felt more like I’m doing what I was put on this earth to do! We have a family here and I’m so happy to be one of them." Evan is a young chef born and raised in St. John's, Newfoundland. At the age of 12 he began scrubbing dishes at his fathers Newfoundland themed Restaurant to stay out of trouble in the summer. By 15, he was running his own section of the hot line, and By 17, evan could perform all roles within the kitchen. In November 2010 circumstance struck and evan along with his father and brother packed up the family business into boxes. From there he took it upon himself to earn the skills and knowledge that would make him self sufficient and ever able to adapt. Finally, he booked a one way ticket to Toronto and spent his entire time in the best kitchens cooking, eating and learning from the best chefs and butchers the GTA had to offer. Upon returning home with a different way of thinking about food and a new set of skills at his disposal, he set his sights on what he wanted and its been full steam ahead. After a few bumps in the road, mixed with a few blessings, he is enjoying the higher ground. through the support of his family and friends, evan couldn't be happier to be doing what he loves with people he loves.